This name uses Spanish naming customs: the first or paternal family name is Mancebo and the second or maternal family name is Pérez. 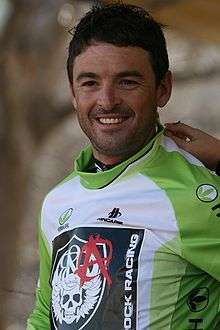 Francisco Mancebo Pérez (born 9 March 1976 in Madrid) is a Spanish professional cyclist. He initially rode for team Illes Balears–Banesto, but moved to AG2R Prévoyance in 2006. Mancebo is a stage race specialist, with good climbing and individual time trial performances. He was the Spanish National Champion in 2004. He finished sixth in the 2004 Tour de France and fourth in the 2005 Tour de France. He also won a stage of the 2005 Vuelta a España and finished third in the general classification, making the podium for the second consecutive year. 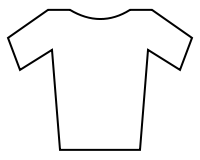 At the 2000 Tour de France, he won the maillot blanc for the best young rider. In the 2009 season, he rode with the team Rock Racing. For 2010 he rode with Heraklion Kastro-Murcia and with the Canyon Bicycle's Team in the Tour of Utah, in an effort to defend his overall classification title. In 2011, he rode with the Realcyclist.com Cycling Team, where he was the #1 rider in the NRC standings. For 2012 he rode with the Competitive Cyclist Racing Team repeating as the NRC Champion and named Stage Racer of the Year by VeloNews. 2013 saw Mancebo ride under the colors of 5-hour Energy. Since the start of the 2014 season, Mancebo has been riding for the new Continental squad, Skydive Dubai Pro Cycling. ↑ "Domestic Intel: Mancebo heads to Europe". VeloNews. Competitor Group, Inc. 5 November 2013. Retrieved 13 December 2013. ↑ "Castilla y Leon: Rolland secures overall title". cyclingnews.com. 19 April 2015. Retrieved 20 April 2015. ↑ "Smith, Dvorak win Cascade overall titles". cyclingnews.com. 25 September 2015. Retrieved 4 December 2015. Wikimedia Commons has media related to Francisco Mancebo.